Summer Blossom at Gardens by the Bay Bistro! Tuesday | April 11, 2017	It’s beginning to look a lot like Summer at Bakerzin! An early start to Summer begins with brand new items to usher in this bright and sunny season. Start off with Quail Eggs Salad, a comforting Signature Caesar Salad impressed subtly with beetroot juice coated quail eggs, akin to violet roses sitting in a bed of lush greens, drizzled with velvety Caesar dressing. End on a sweet note with Melon Cheesecake, inspired from Hokkaido, a silky smooth rock melon cream cheese mousse, that will melt in your mouth and your addiction will heighten with each bite. For sharing with friends and family, bring back a box of 6 Sakura macarons, pretty in pink chewy meringue cases carrying hints of almond, oozing Sakura butter cream, that will make you rejoice and delight in pleasure. 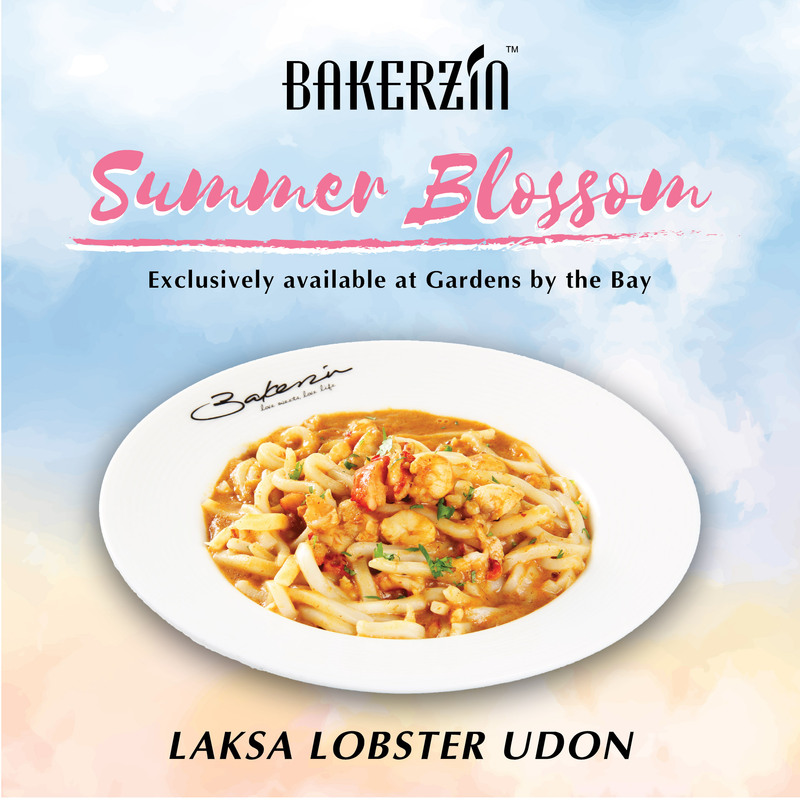 Summer Blossom Menu will be available exclusively at Bakerzin @ Gardens by the Bay Bistro from 11 April onwards, for a limited period! Head on down to Bakerzin Gardens by the Bay Bistro for a splendid spread today!